T.S. Shure Archiquest Wooden Castle Blocks Playset and Storybook Building Kit Only $15.07 (Reg. $39.99)! You are here: Home / Great Deals / Amazon Deals / T.S. Shure Archiquest Wooden Castle Blocks Playset and Storybook Building Kit Only $15.07 (Reg. $39.99)! If you are looking for a great gift idea, look now further! Right now on Amazon you can get this highly-rated T.S. 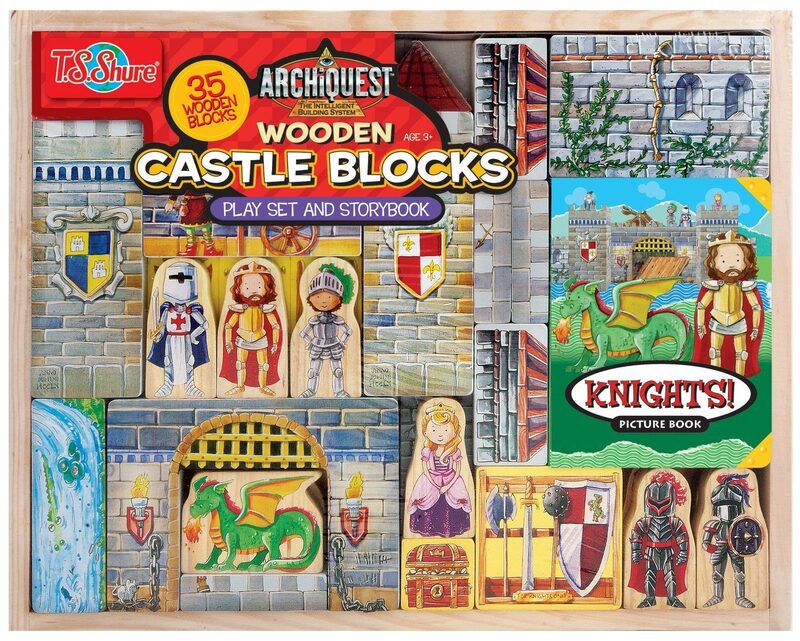 Shure Archiquest Wooden Castle Blocks Playset and Storybook Building Kit for only $15.07! Since 1991 T.S. Shure has been enchanting children and parents alike with toys and games that are just as educational as they are fun and imaginative. Their creative designs are made from the highest quality (often natural) materials available, making them something that children are able to pass down to the next generation.